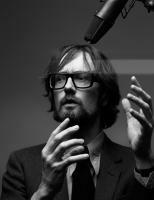 See the gallery for quotes by Jarvis Cocker. You can to use those 8 images of quotes as a desktop wallpapers. The working class has been turned into a consuming class - a situation has been created where people value their worth by what they can afford. 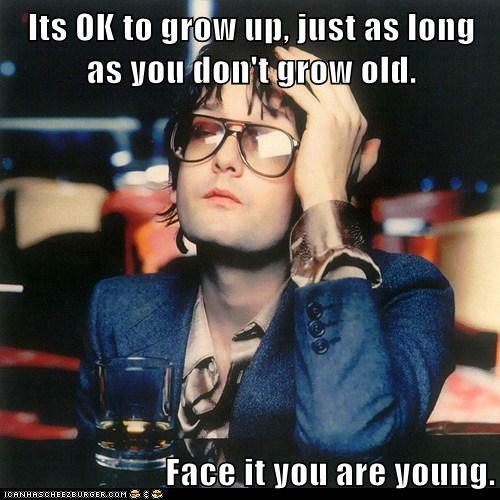 Will you see Pulp again? Who knows. I'm not stoking those particular rumours. Also, because people like to multitask, in a way if you've got a bit of music on in the background and the lyrical content is making you want to listen to it, then that would probably put you off the texting you wanted to do. I think people like things that just make that right kind of noise, but leave your brain free to do something else. The most entertaining songs don't always come from a nice place. In songs where I think I'm being really sensitive, they seem quite boring actually. I've found that the songs that come out of nastier, more misanthropic places are better. Being chronically shy I needed to create a persona for myself and be involved with a band where I could be ruler of my own kingdom. 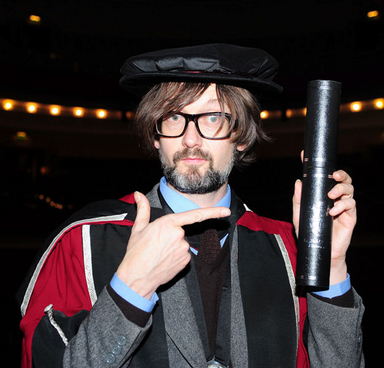 Then Pulp became hugely popular and I lost control of it, which is when it all went wrong. Every woman I've had a relationship with has found this maddening; the fact that I will talk about anything on the stage, and reveal all this stuff, and yet when I'm at home, I clam up and won't discuss anything intimate or personal. For TV you also get those pre-interviews when researchers ask you what you're going to say. The pre-interview drives me insane. If they've already decided the outcome, why don't I just hand in an essay? Maybe if we talk we'll find something out. I'd rather just have an awkward pause. Hawkwind are one of those bands that people introduce you to because you don't see them on the covers of magazines. I'd heard 'Silver Machine' but Russell Senior, who was in Pulp, got me into them. They had a song called 'Master Of The Universe' and we nicked the title in 1985 for one of our songs. I know that some filmmakers strive for a kind of naturalistic approach, but you're never going to capture something that's really natural - just the simple fact that you choose to put a frame around something means that you've already chosen one particular thing to put more attention on. I recently spent quite a bit of time in Sheffield, England, which is where I'm from. I wouldn't move back there, but it's funny when you spend a bit of time in the place where you were brought up. You kind of realize how that place has had quite a big effect on you or made you a certain way. I think the credit crunch is a brilliant thing. We should all stop moaning and start celebrating. When times are tough, it's an opportunity to start looking at life in a different way. I'd always fought against presenting radio really, because my father was a radio DJ in Australia. He's just recently retired. And I kind of didn't want to follow in his footsteps. But I suppose, as we all find as we become older, to some extent we do all become our parents. I'd been thinking I'd have to learn how to play really well, but obviously the message of punk was that you just learn three chords in a week and you're away. I'm sure Sting's a lovely guy. It's just that nobody wants to be seen as that holier-than-thou thing. That over-earnestness is a bit of a problem with people in bands and celebrities or whatever. I've always had an eye for nature, but it's the sort of thing to keep quiet about, because I don't want to come across as a mad hippy. But it makes sense to appreciate those things. In some ways, I always thought you're better off behaving like a rock star when you're a normal person. 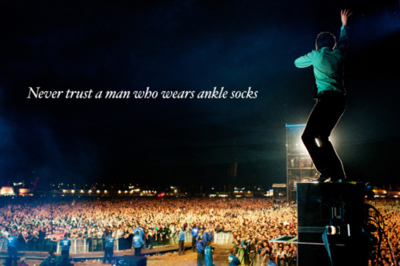 Because if you do it as a rock star, you'll end up in the papers and your life will be made a misery. 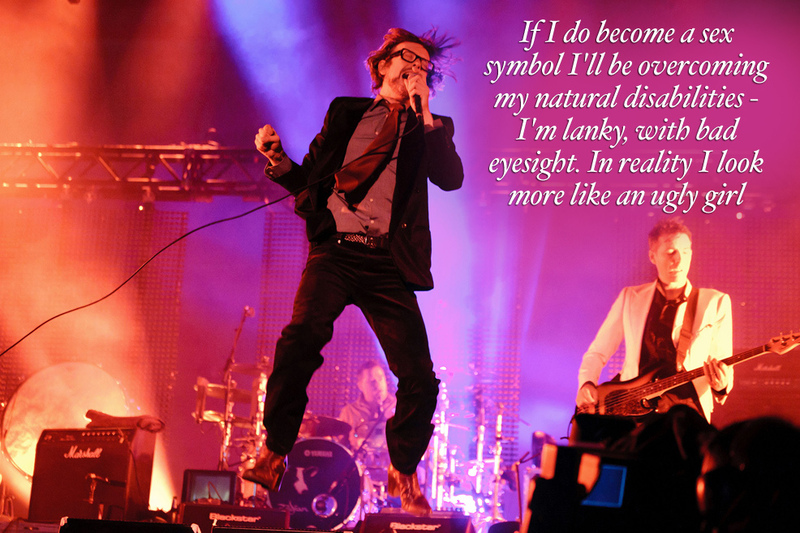 Much more quotes by Jarvis Cocker below the page. Part of why I started a band was due to feelings of shyness and social ineptitude. I saw it as some way of being able to interact with people from a safe distance. Pulp existed for 12 years before we got famous. Now, you could say that was just lack of imagination, but it's some kind of quality isn't it? Tenacity. You could also say it was sloth. The thing about radio is that it's got an intimate feel. What I like is that you don't have to give it your full attention - you can still do something else that the same time, whereas TV is all-enveloping: you have to sit there and pay attention to it, and give yourself over to it. You have to surrender to it, but you don't with radio. There's the famous thing that the A&R man from the record company is supposed to do: He's supposed to come into the studio and listen to the songs you've been recording and then say, 'Guys, I don't hear any singles.' And then everybody falls into a terrible depression because you have to write one. To look for some kind of insight or meaning in pop songs is not really - well there's plenty of other places where you should probably look first before you start looking for it in a pop song. I guess it was just because I was really into music as a child, and I wanted it to say more. It was the thing, wasn't it? And now it isn't. Unless you're living on the street and surviving on a diet of discarded turkey drumsticks, there's no point in being gloomy. We've spent too long trying to cheer ourselves up by spending money on brightly coloured things we don't really need. We've stopped using our imaginations. Well, once you've resigned yourself to the fact that you are the more mature pop performer and you're past the age you ever thought you would do it, you might as well do it as long as you can. As long as I can still lift a microphone, then I'll do it, you know. When I was in Pulp, I actively did more TV stuff because that was during the Great Britpop Wars, and it seemed important to prove that indie people could speak. That war doesn't exist anymore. Words are important to me, but a song can work and function and be a good song with words that are fairly standard. But really great lyrics can't rescue a dog of a song. I would like to believe in an afterlife; it makes things more palatable. But I'm not banking on it. I'm not a religious person but I do like the idea of Sunday as a day set apart from the rest of the week. It's nice to have a period of reflection and have time to think about things. But I've got ideas. I keep my little notebook, I've always got that with me. Hopefully there's more stuff than nonsense in there. Don't think that the things around you don't count, because they do. For me, the great thing about music is that anybody can do it. I appreciate people who try and use language in an interesting way. I do write songs with a political dimension to them sometimes, but I'm always slightly appalled by it when I do. I guess I'm fairly insistent and maybe consistent. If I decide I'll do something, I generally will. I'm always amazed by people who blog all the time and tweet all the time, and still get things done. I don't know how they do it. I'm always nervous when I perform anyway. If you get involved in music expecting to make a living out of it, then you've picked the wrong thing to do. 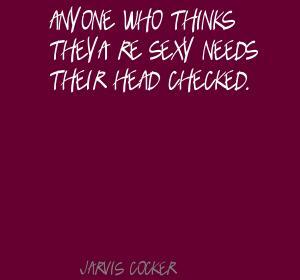 That shouldn't really be in your mind. It's good that I managed to hoodwink so many people. I am actually not that nice a person. It's weird: The leader of the Conservative Party in England is two years younger than me, and I still don't really feel like a responsible adult. My route so far through life hasn't been particularly logical, or even thought out. The good thing about people really is their iffy-ness and dodginess, isn't it? The main thing I don't like about myself is an absurd level of self-consciousness that makes any sort of social encounter an ordeal for me.